The Annual Recommended Suburbs Survey by Nyko Property found properties in Footscray and Maidstone in the inner west and Thornbury and Preston in the inner north were undervalued when sold in 2008 and 2009. At the time, the suburbs had a median unit price under $400,000. Nyko Property director Bill Nikolouzakis said the suburbs’ price and location gave them substantial upsides for investors. Mr Nikolouzakis said the Annual Recommended Suburbs Survey – “which uses rigorous and impartial research to assess new property projects for their investment suitability” – has stood the test of time. “The suburbs we have selected in the Nyko surveys from 2008 to 2013 have outperformed the Melbourne unit market by 2.77 per cent per annum – a 63 per cent improvement – as well as holding up well against the Australian unit market, outperforming it by 2.52 per cent per annum – a 54 per cent increase,” he said. Mr Nikolouzakis said the survey takes into account the existing demographics of the suburb as well as future demographic trends based on gentrification. 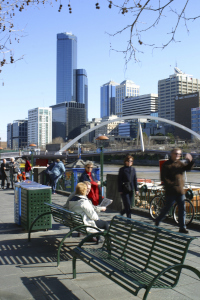 For investors looking to buy in Melbourne, Mr Nikolouzakis said Plan Melbourne is a key factor in identifying which locations are likely to see the highest spike in employment and population growth. “The state government has pinpointed suburbs, and even key areas within those suburbs, in which they anticipate growth and therefore have committed extra funds for improvement of infrastructure and amenities,” he said. “An in depth knowledge of the local areas and the micro-economic factors affecting them are the keys to selecting high-growth locations." Mr Nikolouzakis said historically Australians have made investment property decisions based on emotions rather than logic and frequently purchased in areas they grew up in which is “never the best investment option”.